With the school year ending and the weather getting warmer, summer vacation is on everyone’s minds. But before you head out on the highway for a cross-country, family road trip, or a drive to the coast with friends, take time to thoroughly put your car, truck or van through a pre-trip check. Doing so will help ensure your vacation is safe and stress-free. If opening and getting under the hood doesn’t intimidate you, you can perform these tasks yourself in your driveway. However, if you’re planning a longer journey, or if it’s been over a year since you’ve had your tires rotated or the oil changed out, bring your vehicle Colony One Auto Center for scheduled vehicle maintenance. Check the tires. Don’t rely on the tire pressure light to determine whether or not your tires are low on air or damaged. Take time to inspect each tire and its treads for visible wear and tear, bulges and bald spots. If you own a pressure gage (tire pressure gages are inexpensive and available for purchase at auto parts stores), you can test the tire pressure yourself using air at a gas station. Examine windshield wipers. Given the amount of heat and rain we experience in Texas, you should inspect your windshield wipers every six months, and replace them annually. Rubber doesn’t last forever, and worn out windshield wipers will not provide the visibility you need to stay safe while driving in inclement weather. Check all exterior lights. This pre-trip check requires two people. Have one person get in the vehicle and start it up in park. Then, with a second person outside watching, turn the lights on and off one at a time. Don’t forget to test your bright lights as well as your brake lights. If a light doesn’t come on, it usually means the bulb is burnt out, although a more complicated electrical issue may be the cause. Check brake pads. We strongly recommend you have your brake pads and brake system checked by a professional auto mechanic once a year. You can check your brake pads for wear yourself, so long as they are visible behind your tire. That said, having your brake pads and brake system tested by a professional mechanic is the best way to ensure everything is in working order. Inspect hoses and belts. Check your hoses and belts to see if they feel loose or appear cracked or frayed. If a belt is slick with oil or other fluid, that is an indication you have a leak somewhere in your engine, which you should bring to the attention of your mechanic. Hoses and belts are essential components to your vehicle’s electrical system, which manages the air conditioning and power steering. Overheating, leaks, the smell of antifreeze and having to repeatedly replenish coolant are all signs that your vehicle’s cooling system is in need of repairs. A properly-functioning cooling system is essential for long drives. Colony One Auto Center offers comprehensive cooling system and air conditioning maintenance and repairs. Check filters and replenish fluids. You can check the air filter for your air cleaner by simply unscrewing the wing nut on the lid of the air cleaner, removing the filter, and holding it up to the light. If the filter is too dirty to let the light through, it should be replaced. The air filter prevents dirt and other contaminants from getting into your engine, and should be inspected regularly and replaced annually. Be sure to check and replenish all fluids, including engine oil, power steering, brake and transmission fluids. Also check the windshield wiper washer solvent and your antifreeze (coolant), which is necessary even in hot summer weather. Finally, check your battery to make sure it’s clean and its connections are tight. Again, if you’re not sure how to safely check your battery, bring your vehicle to a professional to have it looked over. For over 20 years, Colony One Auto Center has provided quality car, truck and van repair and maintenance for the Sugar Land and surrounding communities. Our ASE certified master technicians are ready to provide you with quick, comprehensive maintenance of your vehicle and will quickly, and accurately diagnose and troubleshoot any mechanical issues you are experiencing. 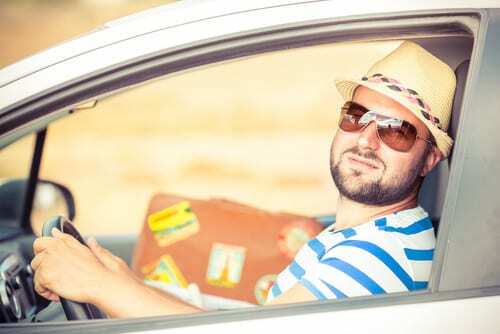 Before the summer officially arrives, contact Colony One Auto Center for a pre-vacation inspection.